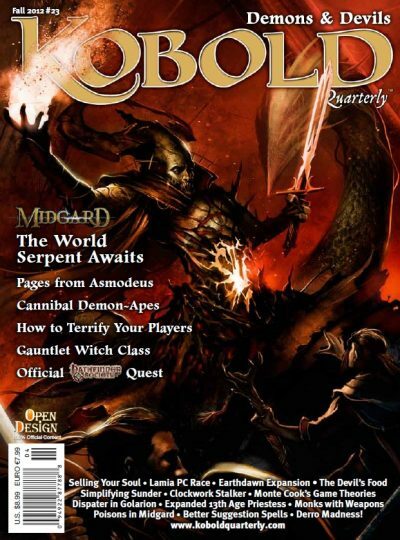 Kobold Quarterly issue #18 is our big pre-Gen Con summer issue, fully 100 pages! 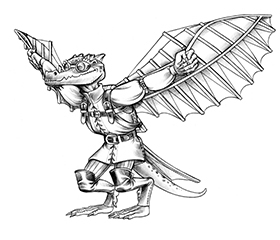 Its like a kobold beach party ice chest, but instead of being packed with gnome jerky, KQ #18 has savants, cavaliers, beast masters and dragon hunters for Pathfinder RPG; Divine Gifts for AGE System by Green Ronins Steve Kenson; minotaur ecology for 4th Edition D&D; and new adventures for all three systems! Characters powered with divine magic are common in fantasy RPGs. Rather than treat them as a divine magic-using class, Green Ronin designer Steve Kenson introduces the Divine Gift talent for AGE System. With 3 adventures this issue, The Exorcist for Pathfinder RPG brings us a desperate plan to raise legendary heroes from the dead doesnt go quite right. Silus and the Red Dogs is a modern update of the choose-your-own adventure books, with a fun solo adventure for a halfling thief. Finally, Who Watches the Watch Fires? is a 4th Edition D&D race against time to alert a sleeping city! What else? So much more! 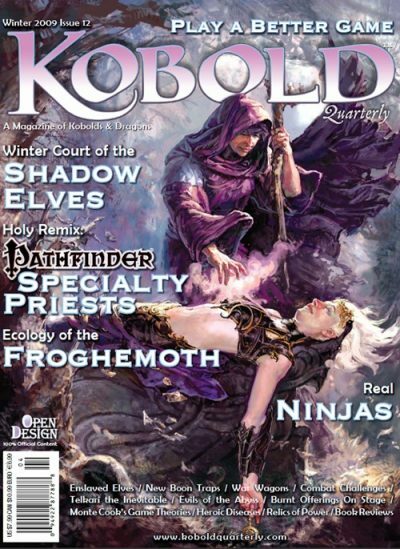 Pick up Kobold Quarterly #18 today!